This information supports and supplements information included in the UNC-Chapel Hill Design Guidelines—specifically, Chapter V: Section 02475 B and Section 12300. Contact Amy Preble at 919-962-5169 for more information. Interior space for recycling collection must be allocated based on where and how much material is generated. There must always be a trash can adjacent to or as part of the indoor recycling site. 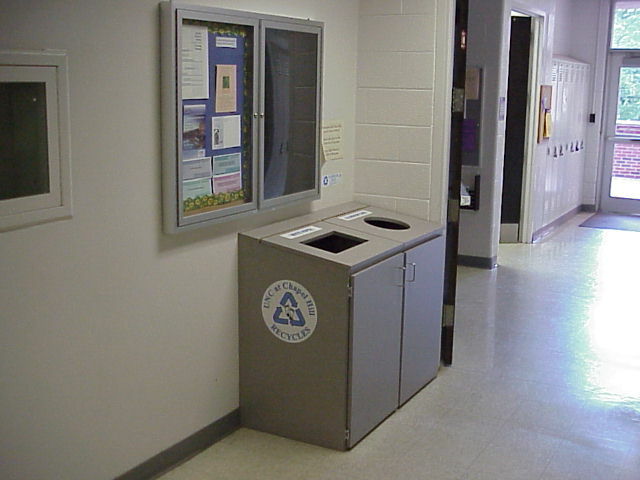 Office paper, newspaper/magazine, and bottle/can recycling locations should be located on each floor. 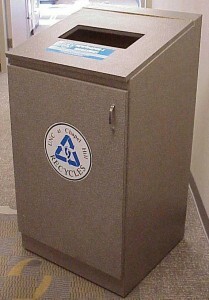 In non-public areas, standard OWRR-provided bins are sufficient. 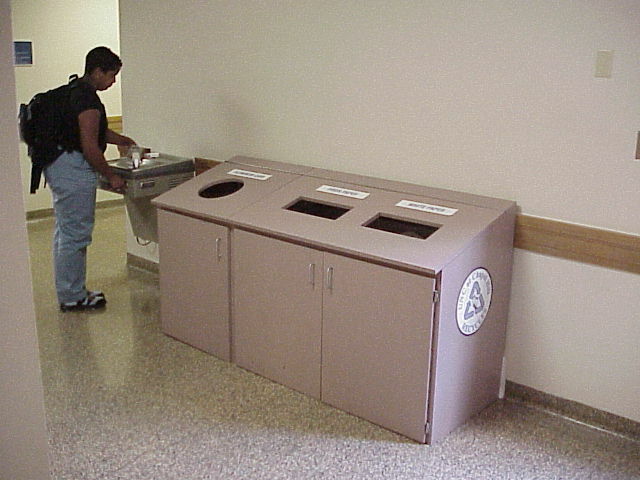 In public areas, recycling cabinets may be used instead of OWRR’s standard bins. All containers shall be located on an accessible path of travel per the ADA and State Building Code. Care should be given to locate containers away from exit doors, elevators, or in areas that may impede movement in the event of an emergency. 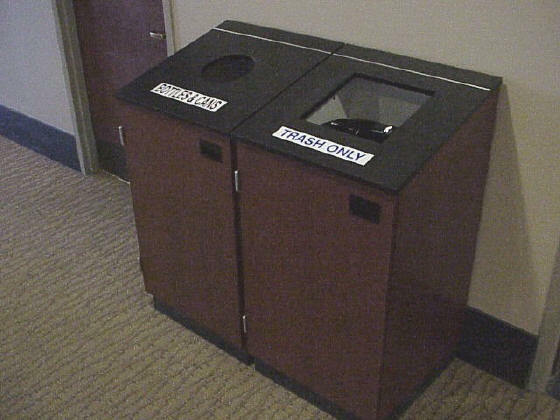 In accordance with applicable codes, recycling containers should be placed away from fire alarms, extinguishers and automatic door openers. Recycling containers shall not be placed in stairwells. 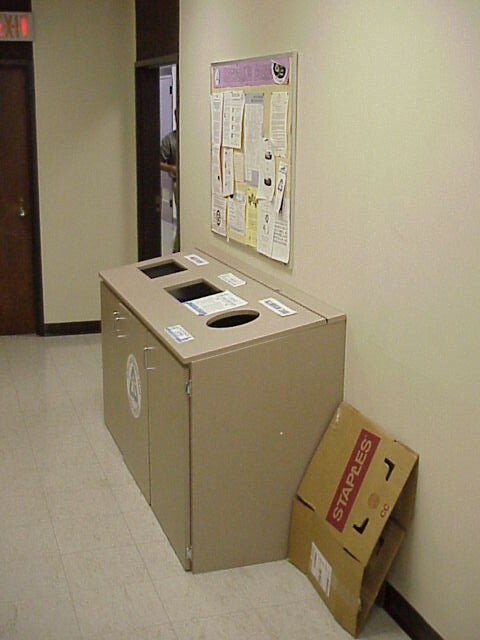 Whenever possible, departments should share recycling areas. 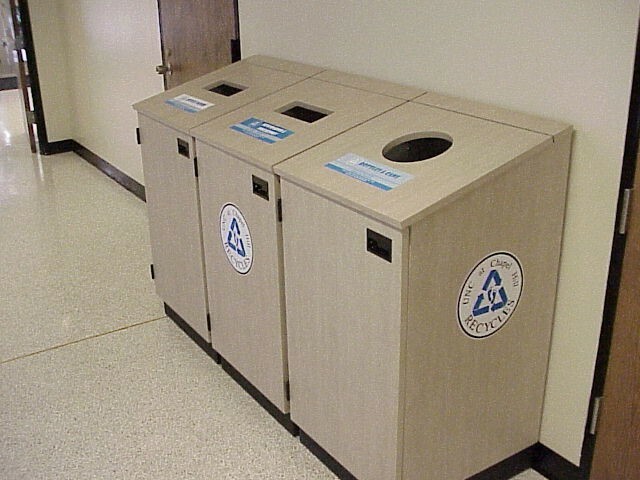 When this is not possible, each department should have its own recycling areas. 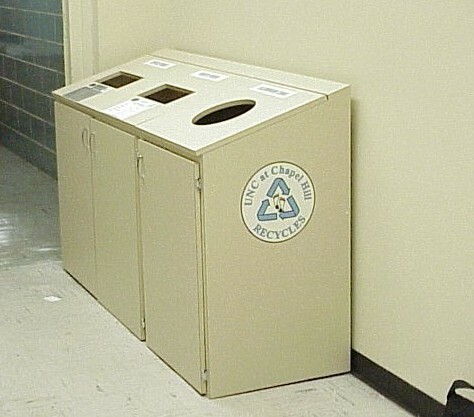 If there is only one department for the whole building, there should be a recycling center for office paper, newspaper/magazine, and bottle/can collection on each floor. 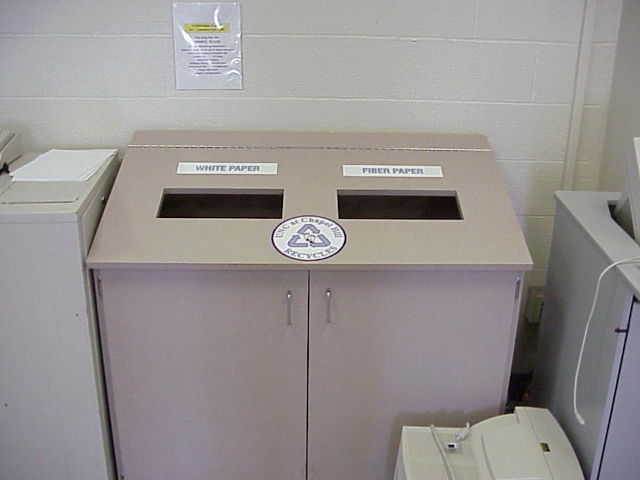 *Copier, mail and work rooms must have a trash can and two recycling bins (one for office fiber and one for newspapers/magazines). 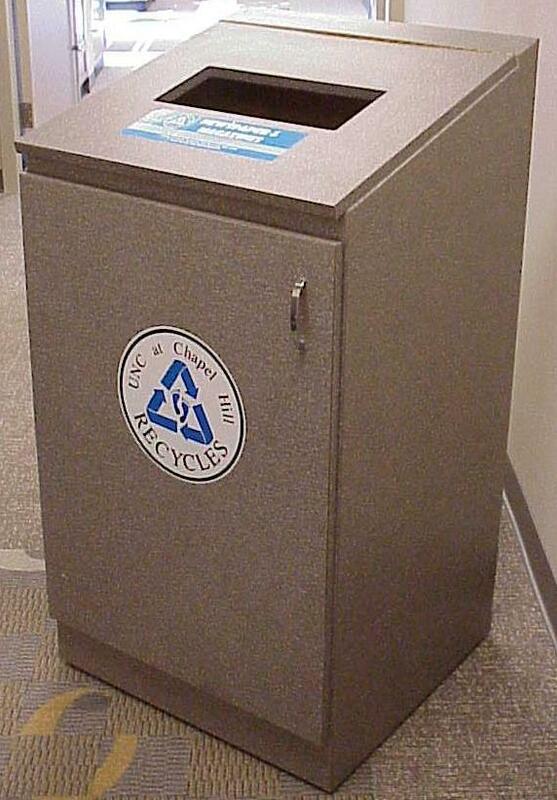 **Public areas must have a trash can, bottle/can bin, and newspaper/magazine bin. 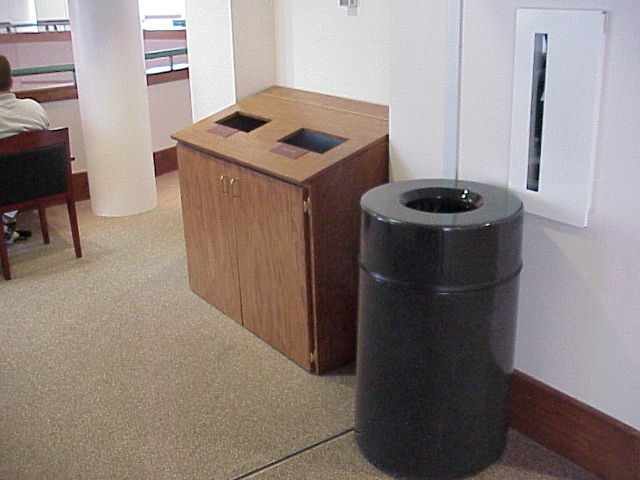 In some situations, office fiber bins are also needed in public areas. Buildings such as residence halls, dining halls, athletic facilities, theatres, conference centers, shipping and receiving areas, animal quarters, etc. may have special needs. Consult the Office of Waste Reduction and Recycling for assistance with planning space for indoor recycling in these areas. OWRR will work with designers and building occupants to determine location, the number and type of bins needed. 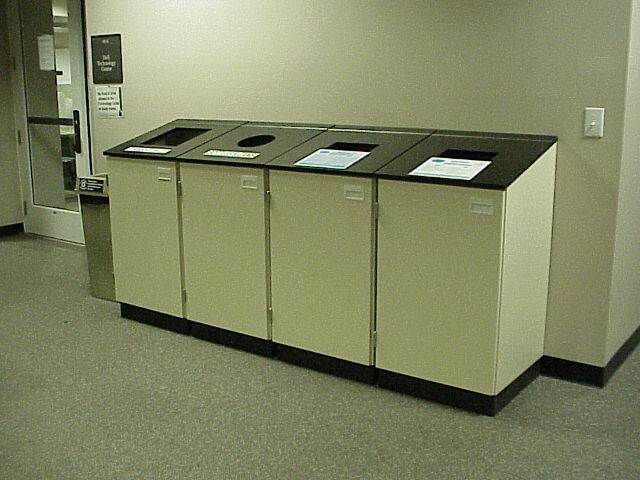 While there are several different styles of indoor recycling bins, planning for a footprint of 24″ W x 24″ D per container is adequate. 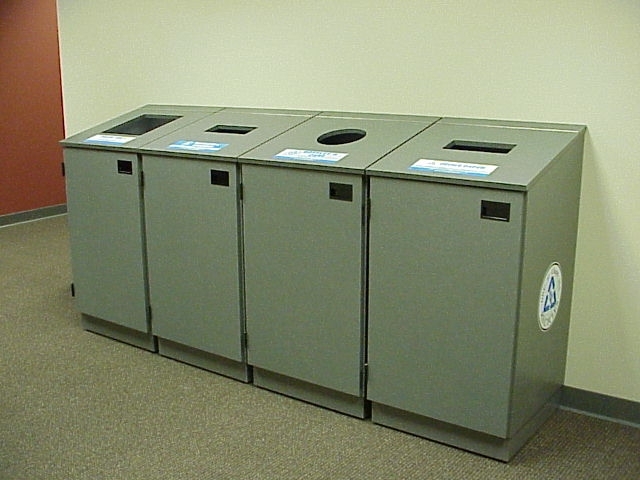 The Waste Handling Vehicles page gives complete dimensions for all of the vehicles used to service indoor recycling. The information in this section can be found in the UNC Design Guidelines, Chapter III. University Planning Standards, Section C. Space Planning Requirements, 2. 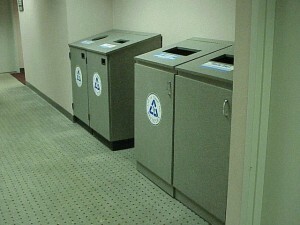 Building Service Areas, d) Indoor Recycling Bins/Locations. 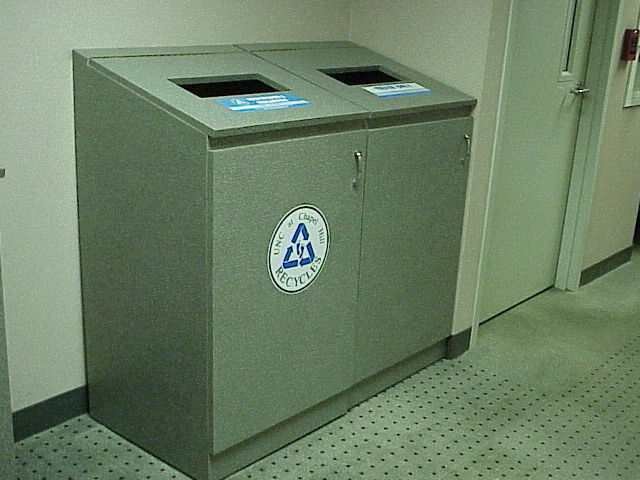 In non-public areas, standard OWRR-provided bins are sufficient. 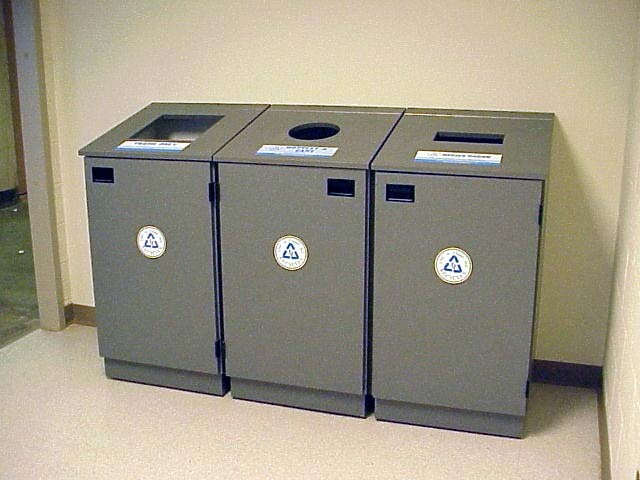 See square Toter bins and round Rubbermaid bins information below. 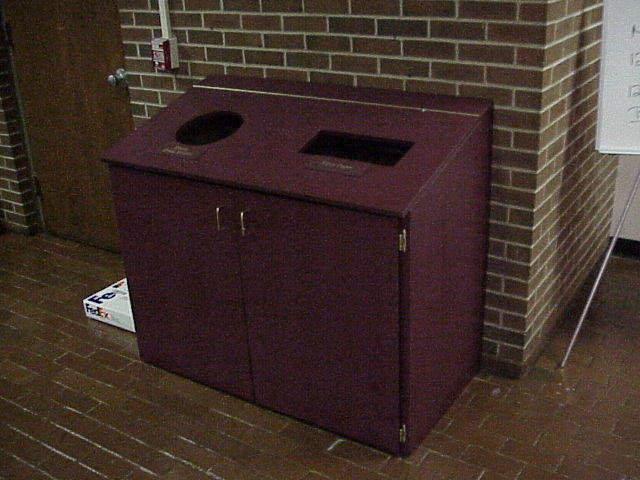 In public areas, recycling cabinets may be used instead of OWRR’s standard bins. 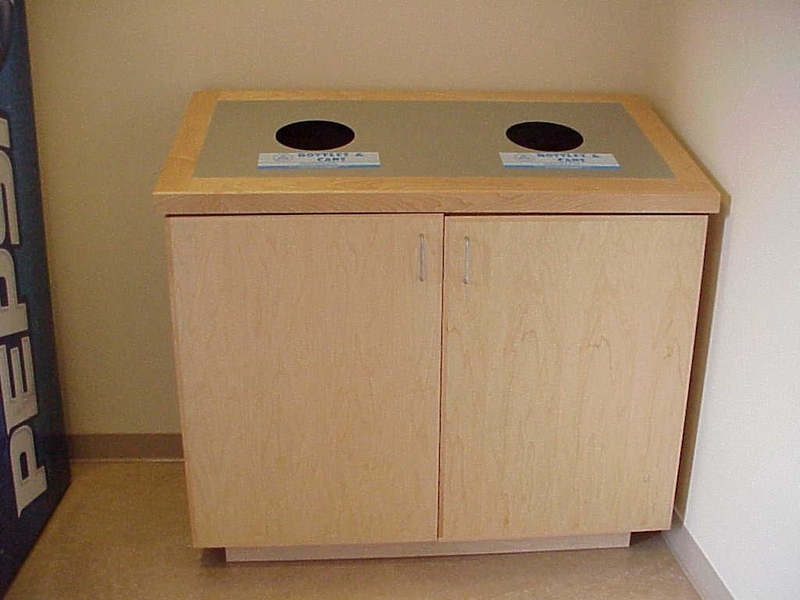 Recycling cabinets are used in public areas where a more formal appearance is needed. These areas include hallways (outside classrooms and auditoriums), lobbies, pre-function areas, lounges and other areas where people congregate. 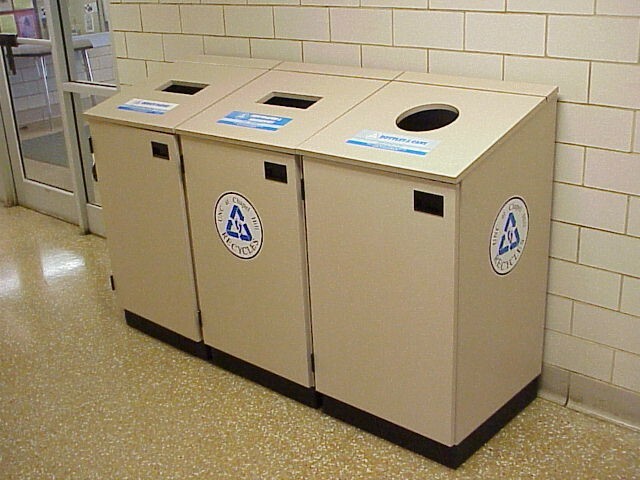 There are three ways to get these recycling cabinets. The project can build them to OWRR’s requirements. They can be built and supplied by UNC-Chapel Hill carpentry shop. The project can contract with an outside supplier to have them custom built. 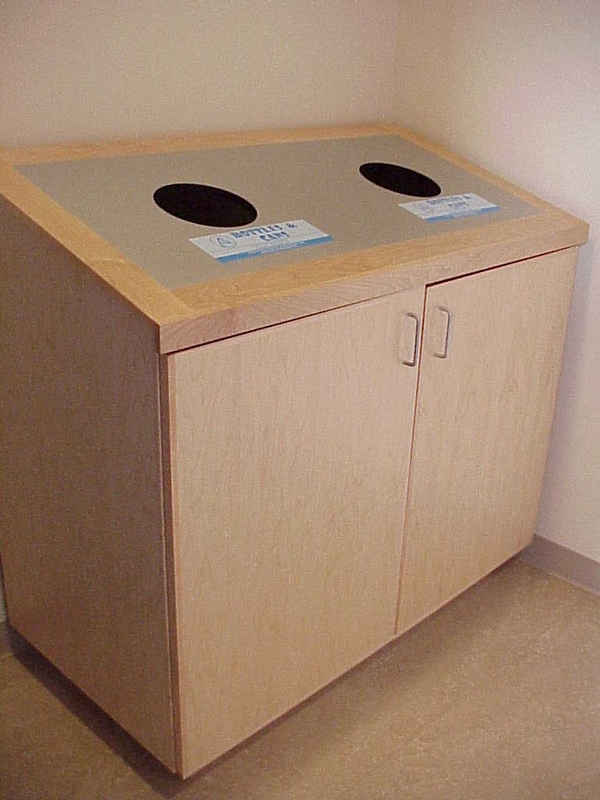 The Waste Handling Containers & Equipment page provides detailed information on all of the equipment used for indoor recycling, including dimensions, capacity, requirements and vendors. it must be clear as to how the cabinets will be supplied–built by the project, or ordered from an outside millwork shop or made by the UNC-Chapel Hill carpentry shop. OWRR is available to assist with placing the order. OWRR must be notified when the cabinets have arrived so that we can label them and get them on a pick up schedule. The project is responsible for designating space on the drawings, providing detailed drawings of the cabinets (meeting the requirements listed here), and including requirement information in Section 12300 of the project manual. This is to include but is not limited to selecting the laminates, construction information, and installation instructions for the cabinets. OWRR will review the drawings and Section 12300 to verify locations, dimensions, and details. 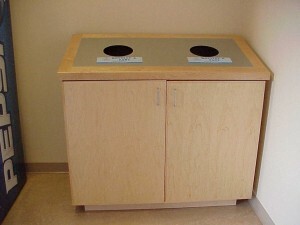 Prior to building occupation, OWRR must be notified so that we can provide bins for inside the cabinets, label the cabinets and get the location on a pick-up schedule. All locations, dimensions, lid openings and finishes must be included in project documents and a copy given to OWRR before construction documents are finalized. Deviation from the standard design is not permitted. The lids are attached such that they form a 75.5° angle with the back. This sloped surface helps prevent items from being stacked on the containers. The lids are hinged so that they can be opened (lifted from front to back). 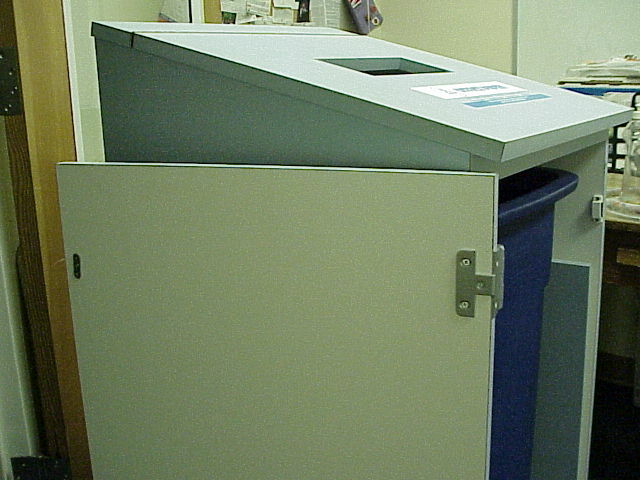 The cabinet door opens so that the bin inside can be removed and emptied. See Lid Openings for dimensions of holes. 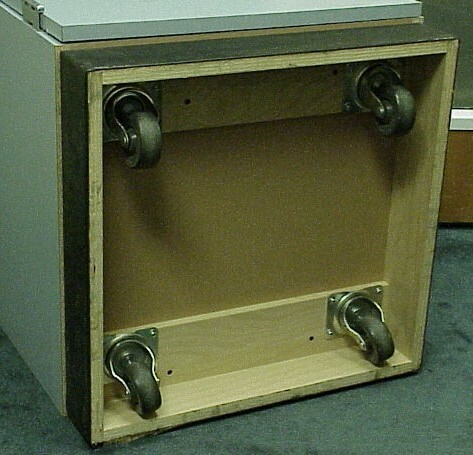 Hinges should allow the door to swing open 180 to 240°. 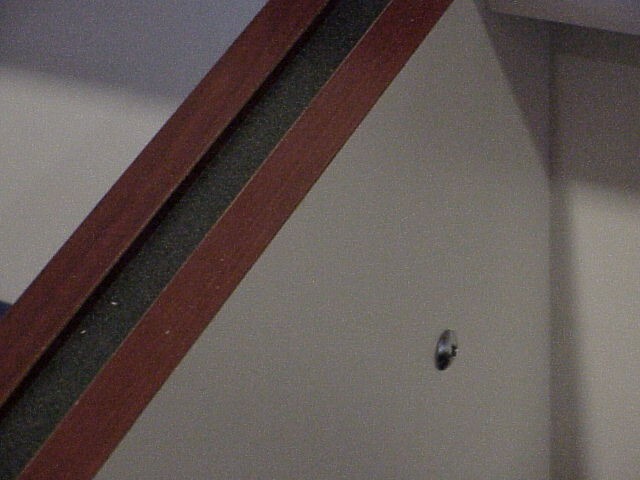 These should be positioned approximately 2 1/4″ down and 2″ over from the opening edge of the door. Handles must meet ADA requirements. Magnetic closures should be installed to keep door closed. For some locations it is advantageous to move bins to other locations during special events in order to position them near catering stations or exits for example. 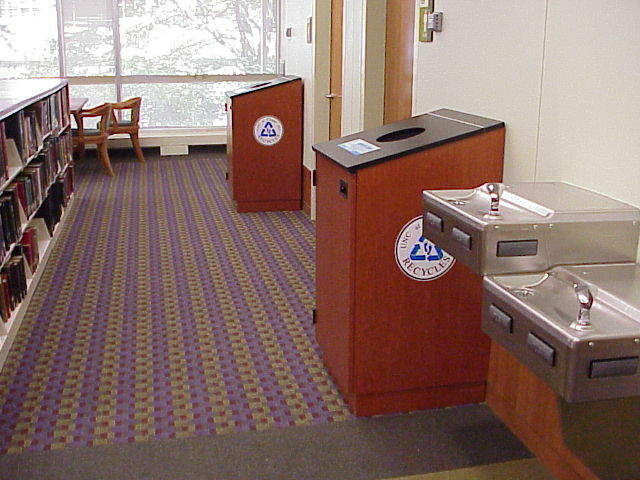 Full-swivel casters can be mounted under the base of the bins. They are not visible and allow the bin to be moved as needed. This option may be requested when placing the order. The banking panel attaches multiple bins together. This must be specified on the order when multiple bins are adjacent to one another. A steel plate may be used on the inside floor of the bin to protect the laminate from chipping as the bin is removed and replaced. This plate extends approximately 1/16-1/8″ over the floor of the cabinet to protect the front edge. The carpentry shop uses a router to smooth the edges inside the cabinet to prevent the laminate from chipping along the floor and side. We now use the OWRR Standard Round Bins inside the cabinets. 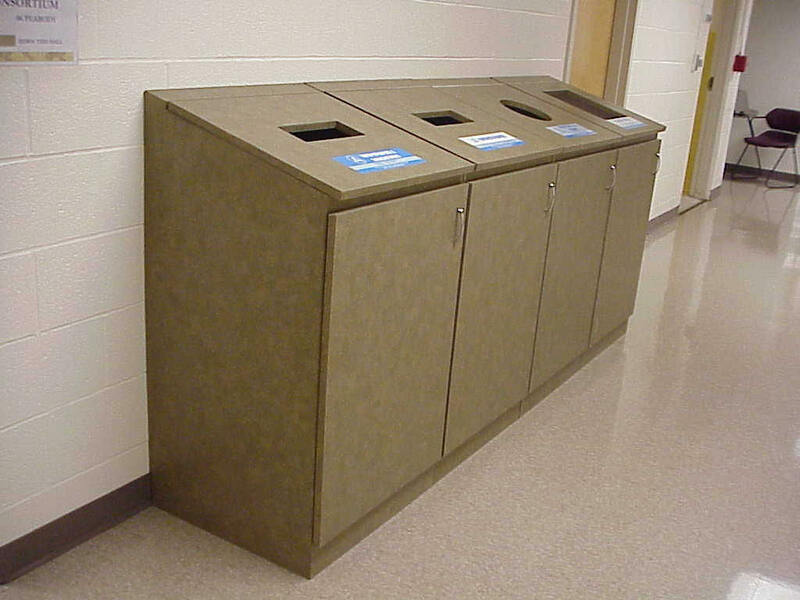 OWRR will supply these bins when the cabinets are built as part of the project or by the carpentry shop. Differently shaped openings are used to denote various recyclable materials. The openings (dimensions below) are centered on the entire surface of the lid (including the hinged part). Deviation from the standard is not acceptable. 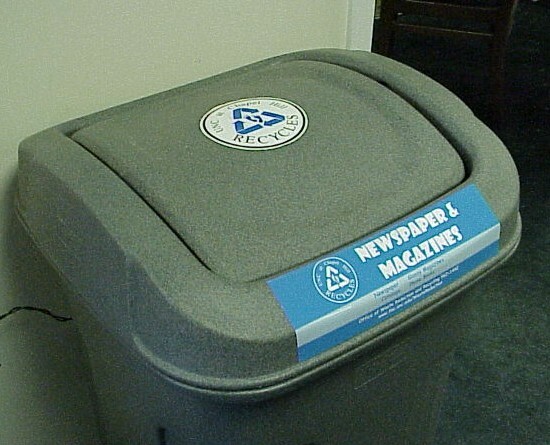 Upon installation, OWRR will apply stickers for Office Fiber, Newspapers/Magazines, Bottles/Cans and Trash. These labels must be campus standard and will be provided by OWRR. 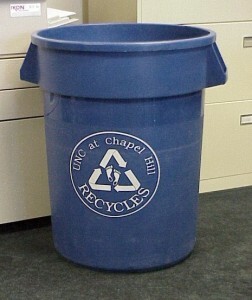 We will also apply a “UNC-Chapel Hill Recycles” logo sticker to the containers. Use textured, non-glossy Nevamar laminates (or a similar product). Lids must not be white! We recommend that the lids and containers are the same color. 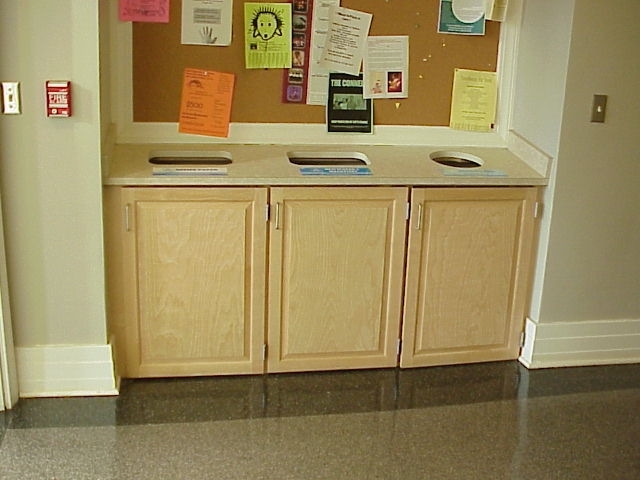 However, some installations have chosen to make the lid a darker color than the rest of the cabinet. Also, the recessed kick box can be made to match the cove base used nearby. 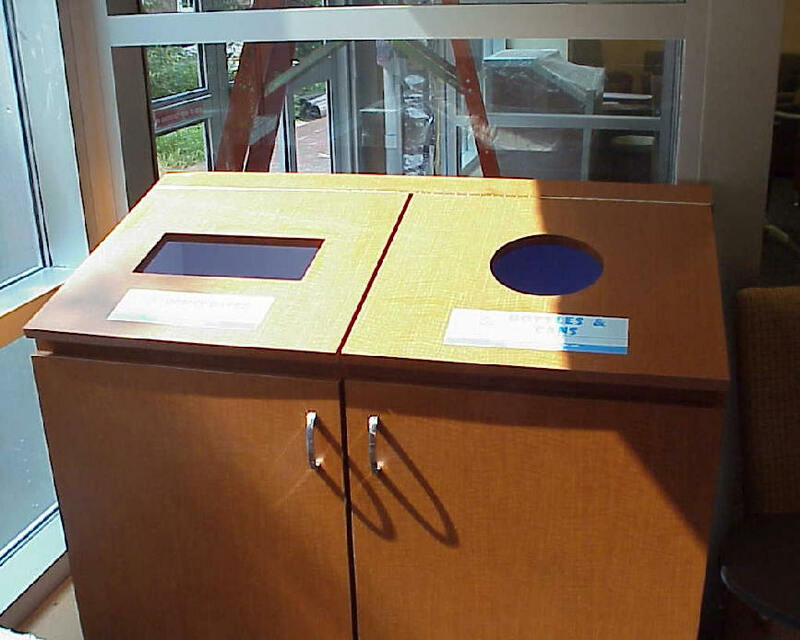 See below for photos of recycling cabinets installed in various campus buildings. The information in this section is supplemental to UNC Design Guidelines, Chapter V. Technical Design and Performance Standards, Section B. Division 2 – Site Work (Spec 02475) and Section K. Division 12 – Furnishings (Spec 12300). These photos may not show a full site, the materials collected may have changed, and they may not have the appropriate opening dimensions. They are given as examples only. Please consult with OWRR before ordering, designing, or building. These containers are supplied by OWRR except when the project builds cabinets. 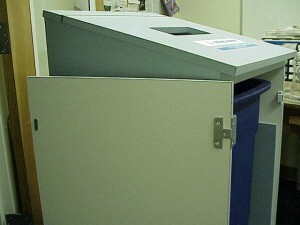 In this situation, the square bins for the inside of the cabinets must be supplied by the project. 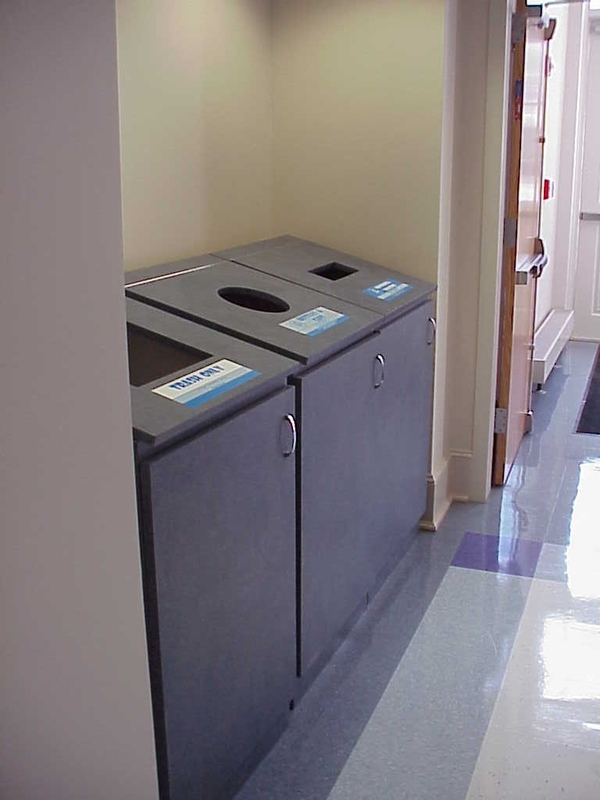 Toter recycling containers are used in areas where appearances are important, but cabinets are not necessary. These areas include hallways (outside classrooms and auditoriums), lobbies, pre-function areas, lounges and other areas where people congregate. 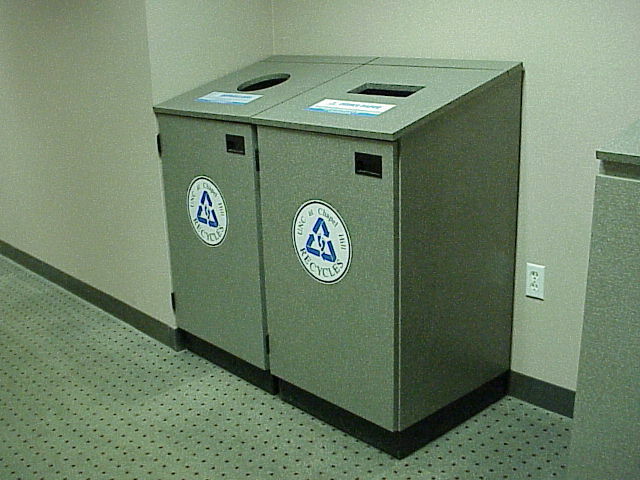 Allow a footprint of 24″ x 24″ for each bin. These containers are supplied by OWRR. Contact OWRR to order equipment. 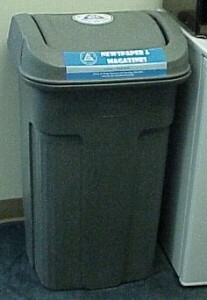 The Rubbermaid bins are used in any area where a recycling bin is needed. Bottle/Can bins have a gray lid with a circular hole for beverage containers. 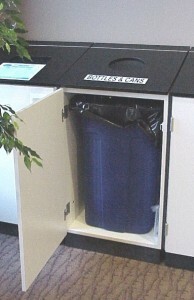 Lids are sometimes used on paper bins in high traffic areas to help keep contamination and trash out of the bins.